In order to have a great, productive day, we need to have a restful good night's sleep. There's nothing better than waking up feeling recharged, refreshed and well-rested. 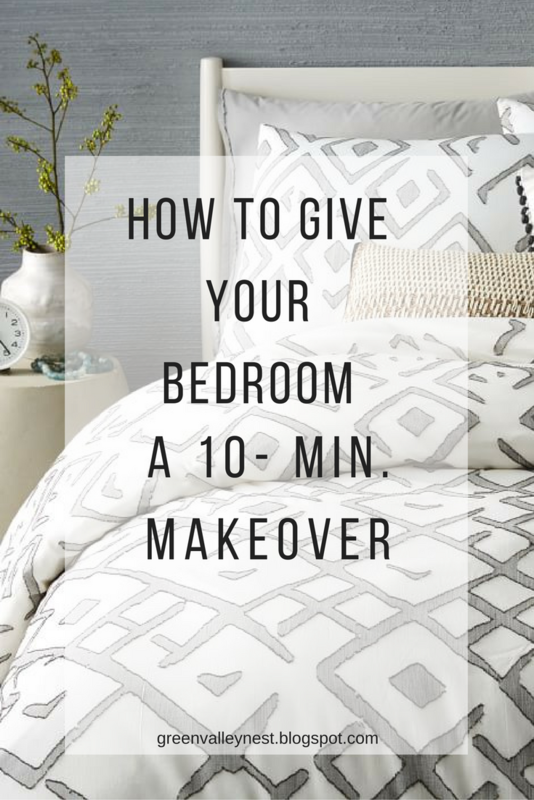 Now that fall is officially here, it's time to give your bedroom some much needed attention. The good news is that you don't need a huge budget or a lot of time. Do you know why? Well... because by changing your bedding, you can feel in totally new room. And the best part is that it only takes a few minutes. 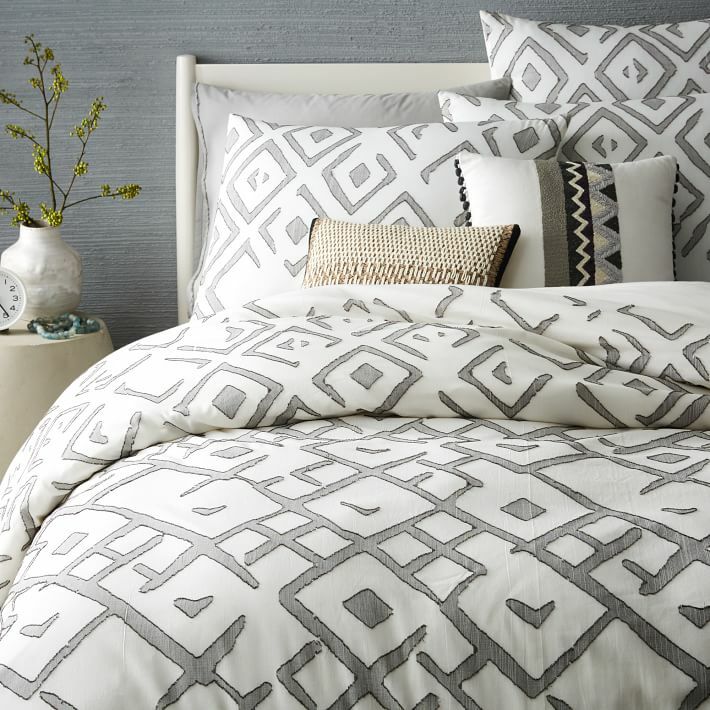 So today, I wanted to share two of my favorite bedding sets from West Elm. It was not easy, but here they are. I picked this organic cotton duvet cover set as one of my favorites. I absolutely love the fading diamond design because it reminds me of watercolors. 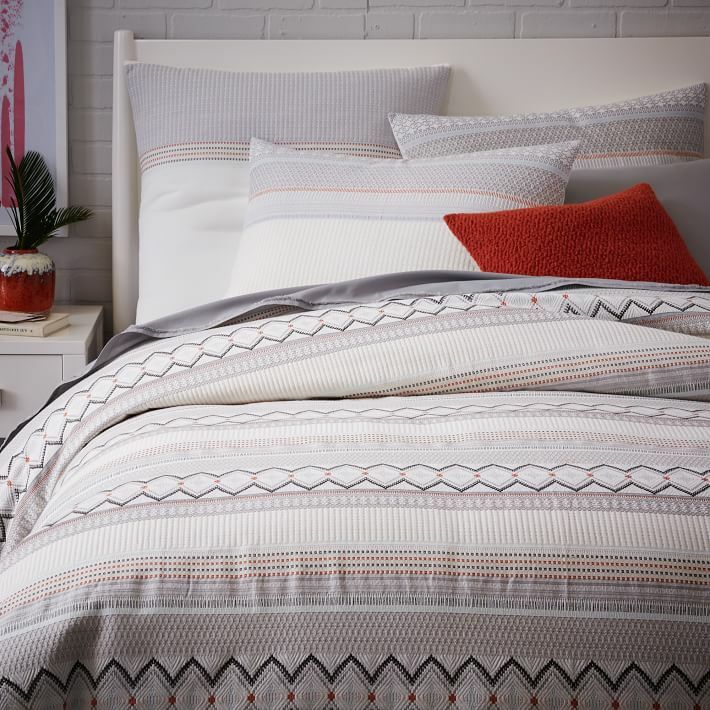 This Organic Nordic stripe duvet cover is functional as it is fun. Soft textures, neutral tones but with a lot of personality. 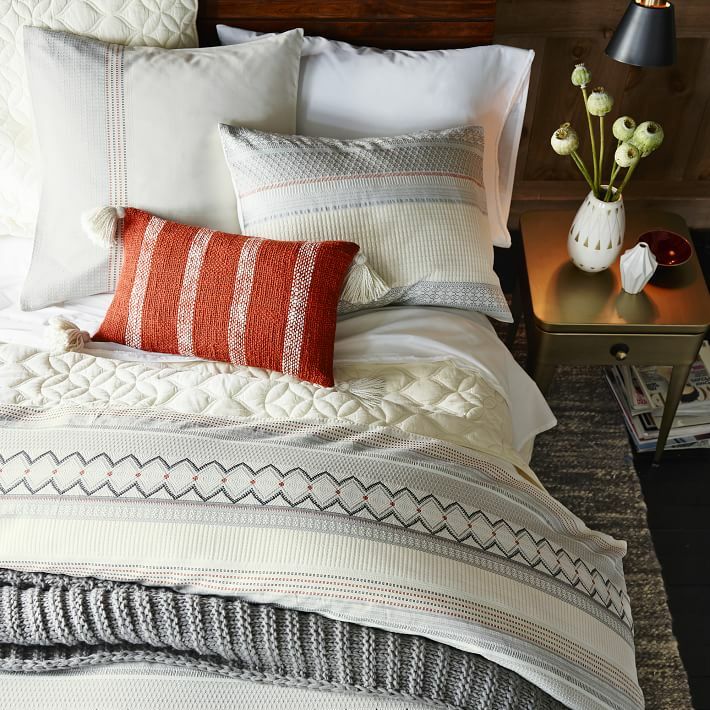 Remember to layer up a throw to make your bed look cozy yet casual. The options are endless. All you have to do is select what texture you like the most and add it up. After you decide on your duvet, all you are left to do is throw a punch of color with some cool pillows. For textures, you can go with silk, velvet, brocade, mongolian lamb pillows or felt. The idea is to add some visual interest along with comfort and function. I hope you liked these two gorgeous options as much as I did. 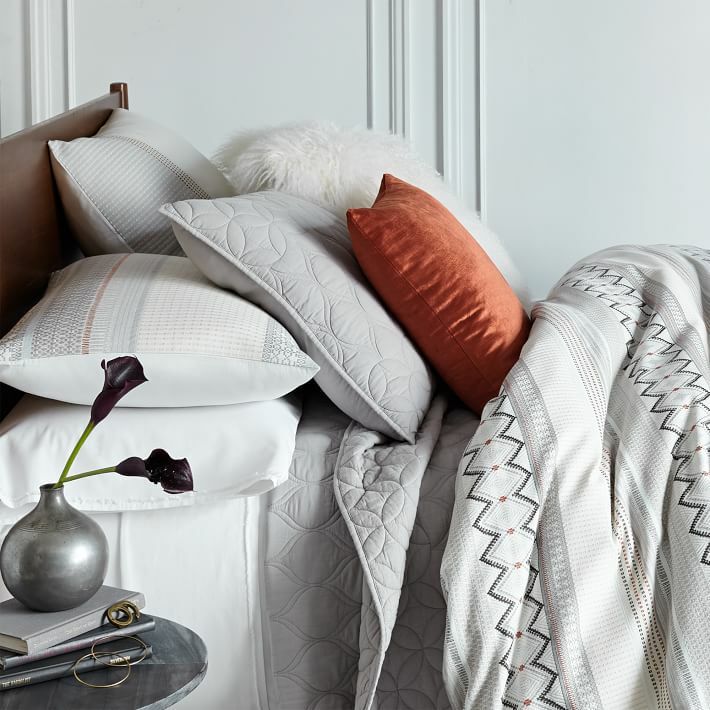 Give it a try this weekend and master your bedroom with new bedding from West Elm. *All images via West Elm.